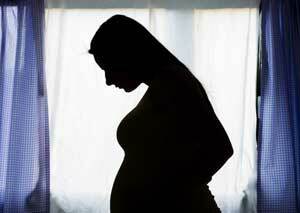 Home » About NIDA » Nora's Blog » Could Naltrexone Be Used to Treat Pregnant Women with Opioid Addiction? Of the three medications currently approved to treat opioid addiction, the long-acting antagonist naltrexone, which blocks opioids from attaching to the mu-opioid receptor, is the newest and the least studied. The research gap is closing, however: A recent study published in Lancet found that extended-release naltrexone was equally effective at reducing illicit opioid use as the partial agonist buprenorphine if patients could be successfully initiated on naltrexone. Initiation requires detoxification from opioids first (since naltrexone elicits withdrawal symptoms in opioid-dependent users), which can be an impediment for some patients. Still, this finding pointed to the promise of naltrexone as an effective treatment approach, as well as the need for research on how to overcome the “detox hurdle” when using an antagonist medication to treat opioid use disorder. As naltrexone becomes more widely used in the treatment of opioid use disorders, we need to learn more about whether it could be safe and effective for opioid-addicted women who are pregnant. In a recent retrospective cohort study in Australia published in Drugs, babies born to opioid-dependent women who were treated with a naltrexone implant had lower rates of neonatal abstinence syndrome and shorter hospital stays than babies born to mothers treated with buprenorphine or methadone; naltrexone and buprenorphine were both associated with lower rates of neonatal mortality and congenital anomalies than methadone. However, there were limitations to the study, including the fact that it was not controlled. Little is known about the effects on a fetus of opioid detoxification, the prerequisite for treatment with naltrexone. Also, since opioid signaling is believed to play a role in neurodevelopment, it is important to know what the effects of blocking that signaling may be. Because of the difficulties in conducting controlled studies in humans, most of what we do know about the effects of prenatal naltrexone exposure comes from animal research, and some studies point to possible risks, at least at much higher doses than the human equivalent. A recent review in Pharmacotherapy summarized some of these findings. For example, rats prenatally exposed to naltrexone showed developmental and behavioral effects later on, including increased self-administration of morphine. Higher birth weights, longer body lengths, and higher organ weights have also been found in rat pups exposed to very high doses of naltrexone. And while birth defects have not been seen in animals, miscarriage has occurred in rats and rabbits treated with very high doses of naltrexone. A review in Neuropsychopharmacology of research on developmental effects of drugs, including opioids and opioid-addiction medications, shows several possible neurodevelopmental effects of naltrexone in animal studies, including alterations in brain size, opioid receptor expression and function, and altered neuronal development. But again, these results are seen with very high doses of naltrexone, and it is difficult to generalize from animal research when doses are so different from what humans would be exposed to. It is also crucial to remember that untreated opioid use disorder during pregnancy has well-known, severe adverse consequences for the baby. Besides neonatal abstinence syndrome (also called neonatal opioid withdrawal syndrome), consequences may include stunted growth, preterm labor, fetal convulsions, and miscarriage. Indirect risks include maternal infections (HIV, hepatitis C), malnutrition, poor prenatal care, and dangers associated with drug seeking (e.g., violence, imprisonment). Hendrée Jones and colleagues pointed out in Addiction [page removed] a few years ago that as increasing numbers of women are treated with naltrexone, some are liable to become pregnant while using it, so there is an urgency to find out how its safety compares to other opioid addiction treatments. They called for a cautious approach in pregnant women, weighing carefully the benefits and potential risks. The urgency to conduct research on this question is only increasing. If naltrexone could be both an effective and safe alternative for pregnant women with opioid use disorders, it would add to the available treatment options for this population, and perhaps reduce somewhat the terrible toll opioid addiction is now taking. The "detox hurdle" can be easily overcome by simply using SUBOXONE, which is naloxone and buprenorphine combined. The buprenorphine will greatly ease the pain of withdrawls from opioids for the first week or two. After a couple weeks on SUBOXONE, the patient can be transitioned to naltrexone, which is nothing more than a longer acting form of naloxone. Neonatal abstinence syndrome (also called neonatal opioid withdrawal syndrome), stunted growth, preterm labor, fetal convulsions, and miscarriagge, maternal infections (HIV, hepatitis C), malnutrition, poor prenatal care, and dangers associated with drug seeking (e.g., violence, imprisonment). Is it not OBVIOUS to you that ANY "risks" of SUBUTEX detox, followed by naltrexone maintenance, would pale in comparison to the risks of continued heroin/ opioid abuse during pregnancy. So what exactly is your question? It's nothing that a little "common sense" cant answer. Wow. You assume a lot. You are especially assuming that the risks in pregnancy from naltrexone are less than the risks of drug addiction. To assume this is dangerous, especially in light of the animal research. Your comments make me wonder how much understanding you have about the physiology of addiction (or pregnancy). Yikes. NIDA. "Could Naltrexone Be Used to Treat Pregnant Women with Opioid Addiction?." National Institute on Drug Abuse, 22 Feb. 2018, https://www.drugabuse.gov/about-nida/noras-blog/2018/02/could-naltrexone-be-used-to-treat-pregnant-women-opioid-addiction. NIDA. Could Naltrexone Be Used to Treat Pregnant Women with Opioid Addiction?. National Institute on Drug Abuse website. https://www.drugabuse.gov/about-nida/noras-blog/2018/02/could-naltrexone-be-used-to-treat-pregnant-women-opioid-addiction. February 22, 2018.